Essentially the 5:2 diet/The Fast Diet works by reducing your calorie intake across the week. One pound (1lb) of fat is the equivalent of approximately 3,500 calories, therefore to lose 1lb of fat per week one must reduce one’s calorie intake by that amount or burn off that amount of calories through exercise. Many of us who have been overweight love our food and struggle to cut back our calorie intake on a daily basis – we may achieve it in the short term through fad diets, slimming clubs etc however in the long term those of us who love our food tend to struggle to stick to these restrictive ways of eating and will fall off the diet wagon before too long. Once we go back to our old eating habits, the weight piles back on – often with re-enforcements and the yo-yo dieting begins anew! 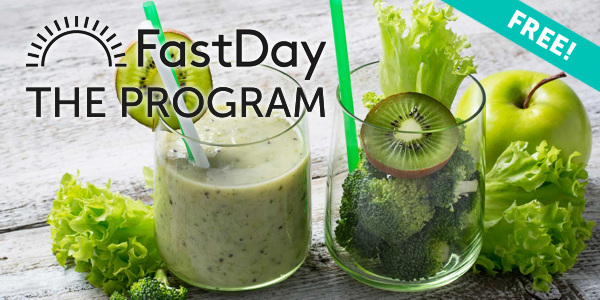 With the 5:2 method we need only worry about cutting back our intake on two days a week. Yes, it’s a drastic cutback but this allows us to eat as normal on the other five days. It’s a part time diet, making it really easy to stick to and therefore more of a long term way of eating than a diet. In addition to helping us to lose weight the 5:2 diet seems to change our eating habits for the better. For one thing we find our appetites decrease, particularly the day after a fast when our tummies have shrunk and do not wish to be overloaded with food. We learn to listen to our bodies needs rather than just what we want and we start to make smarter food choices based on the knowledge we have gleaned from our fasting days and being so careful with a calorie budget!